Ric Wilson premieres his new single “Split” via Noisey. Hanni El Khatib & The Buttertones are playing Rough Trade NYC in Brooklyn, NY on March 30. 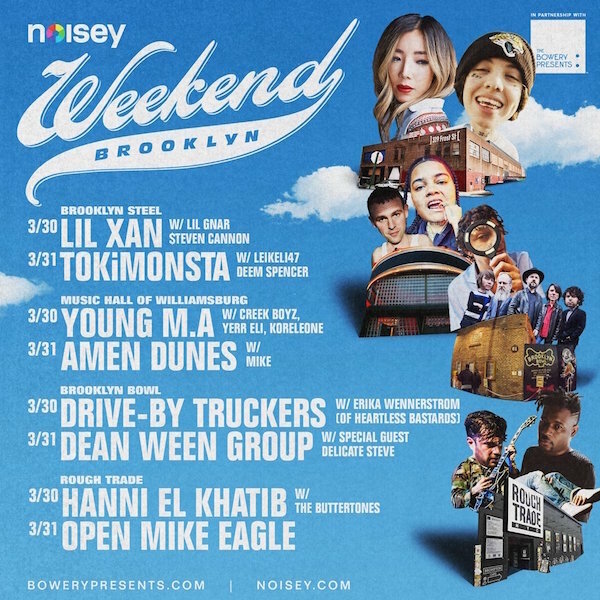 Presented by Noisey. Mint Field premiere the video for “Ojos En El Carro” via Noisey. The Buttertones premiere their video for “Gravediggin” via Noisey. Korey Dane premieres “Lovesick in a Hotel Wildfire” via Noisey. Harriet Brown premieres his new single, “Cryptid” via Noisey. Pinky Pinky premiere their debut single, “Ram Jam,” via Noisey. Hanni El Khatib announces his new album Savage Times and premieres “This I Know” via Noisey.